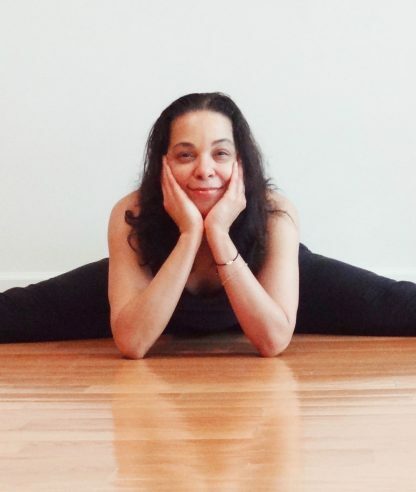 Francisca Alexander is grateful for the practice of yoga coming into her life in 1998. She was certified to teach in 2003. Her studies continued with Adrienne Burke of the Jivamukti tradition in a 500hr Training. The past years have led her to practice and study with Sri Dharma Mittra and she completed his Life of a Yogi 500hr Training in 2008. Her classes include exploration on the physical level as well as the energetic realm. She mixes humor with challenge and encourages students to listen to their inner teacher and embrace life off the yoga mat as the true yoga practice. Thanks and eternal gratitude to the yoga teachers of past and present for lighting the yogic fire.